It is probably no longer news to Nigerians that in, what can only be seen as an act of tyrannical desperation, President Muhammadu Buhari has announced an illegal suspension of the Chief Justice of the Federation – Justice Walter Nkanu Onnoghen. 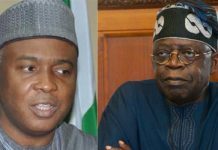 The move which was announced this afternoon is seen by most Nigerians as what it is, a last ditch effort to prevent Justice Onnoghen from empanelling the election petition tribunal judges who are to oversee disputes arising from the conduct of the 2019 general elections. The announcement preceded the hurried swearing of Justice Ibrahim Tanko Mohammed as acting Chief Justice of the Federation. I will speak about the disappointment of Justice Mohammed offering himself up for appointment in this manner on another occasion. In analyzing this move, Nigerians must see the legal and political dimensions to the blatant disrespect for the provisions of our constitution. Nigerians must see the use of a smokescreen of the order given by Justice Danladi Umar, in blatant violation of the order of the Court of Appeal enjoining all parties to the matter to maintain status quo pending the determination of an appeal, for what it is – an unconcealed desire to manipulate the instruments of the Nigerian state to bend the will of the people as expressed by their votes and perpetuate President Muhammadu Buhari in power. Removal by the President upon a motion supported by 2/3rd majority of the Senate. The power of discipline, which includes the power to suspend, is also vested with the NJC. As a system to prevent the arbitrary removal of the head of the Judiciary by the head of the executive, the Constitution ensures that at all times the President requires the support of at least one other arm of government. The purported suspension of the CJN clearly defies this principle of checks and balances. President Buhari’s discomfort with working with Nigerians from a certain part of the country is well documented. I will not waste time speaking about it. It has been obvious in his insistence that only people from a part of the country merit appointment as the heads of security agencies. It is believed in many quarters that this desire is being made manifest in the desire to appoint a CJN of Northern extraction by all means to ensure that the entire electoral machinery of the country lies under the control and supervision people from of a part of the country. I am going to avoid that commentary. 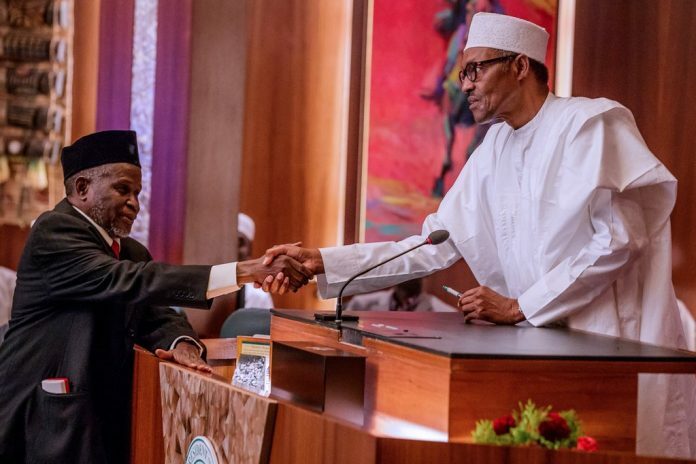 However, it has been obvious for several months that President Buhari has been very uncomfortable with Justice Onnoghen’s role as CJN. This explains the delay in his appointment confirmation as substantive CJN. It also explains the desire, against all stipulated procedure and reason, to remove Justice Onnoghen from office by all means. Most Nigerians see through the corruption smokescreen that the government insists on flying. Most Nigerians see that following the dismal performance of the Buhari administration, its only hope of maintaining its hold on power is to blatantly attempt to rig the 2019 presidential election, in the manner that it rigged the gubernatorial election in Osun State last year. And if polls conducted by credible local and international polling organisations are to be believed then even sort of polling might not be enough. This is an objective that must not be allowed to stand. In the manner of other tyrants and tyrannical objectives before it, the Nigerian people must stand and protect their right to freely bestow their mandates on public officials of their choosing. Indeed, the Nigerian people must see that this purported suspension is an act of desperation of a bully desperate to muscle its way to retaining power over a people from whom it cannot freely gain a mandate. I am writing this to assure Nigerians that this act of tyranny will not stand. Our constitution and our laws make several provisions to prevent it. And in the last few years, our judiciary has shown the ability to stand up, apply these provisions and preserve the integrity of our judiciary and the sanctity of the rule of law. I have no doubt that the Buhari administration is aware that it cannot win a free and fair election, which therefore causes it to resort to these sorts of illegal actions. That said, I am also confident that this action is the last straw that breaks the camel’s back, an action which will compel the Nigerian people to defend their right to freely bestow the privilege of governance on any person. Like former President Olusegun Obasanjo stated a few days ago, the Buhari administration closely resembles the Abacha junta. And just like the Abacha junta was opposed and ultimately defeated, it’s current despotic Siamese twin will be defeated as well. This illegality will not stand. Will the 2019 election be a repeat of 2015?